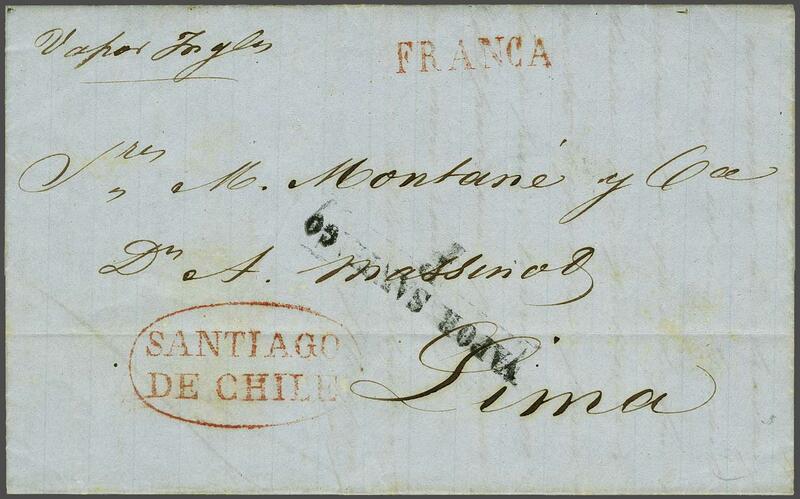 Peru Steamship Navigation Company 1853 (April 14): Entire letter from Santiago to Lima endorsed 'Vapor Ingles' with fine FRANCA and oval framed SANTIAGO / DE CHILE in red and good VAPOR SANTIAGO / P Steamship handstamp in black (Doublet S1, in use April 1852-1853). 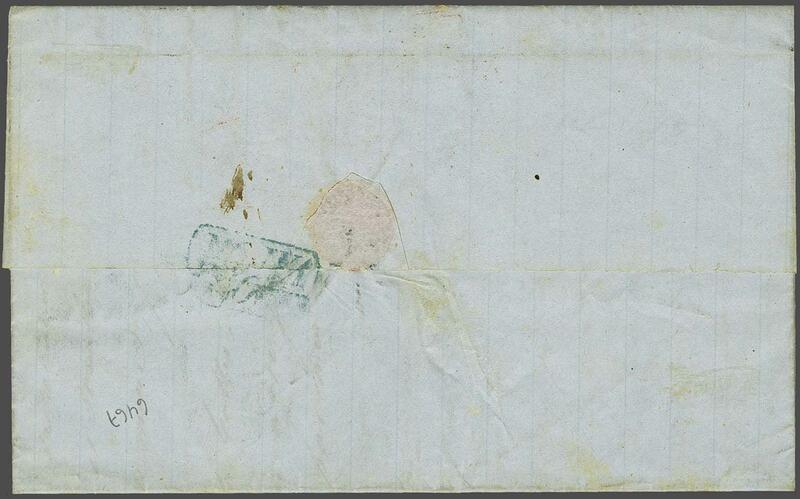 Reverse with blue 'Vapor' marking of receipt. A rare and fine entire.rnProvenance: Corinphila sale 90, Oct 1994, lot 6460.